To paraphrase Chow Yun-fat, "Open your f***ing mouth and drink the rice!!!" Within the world of Chinese spirits, rice-aroma stands apart. Some baijiu snobs—to the extent that such people exist—argue that a real baijiu is made from sorghum and big qu. It has to be fermented and distilled as a solid. Rice aroma breaks all of the rules. Yet it’s still one of four most important styles of baijiu for a very simple reason: It’s by far the most approachable category of baijiu. If most baijius offer a flavor hurricane, rice baijiu is a light breeze on a sunny afternoon. Mild and inviting. Foremost on the nose and palate is the smell of cooked rice, but flavors are often derived from external sources, like traditional Chinese medicine, added during fermentation. At times rice aroma reminds the drinker of vodka, soju, or a mild sake, but it contains unique and subtle accents: honey, grass and lemon are often detectable. This style can be bottled at any strength, but it tends to clock in at lower alcohol by volume, typically between 30 and 40 percent. 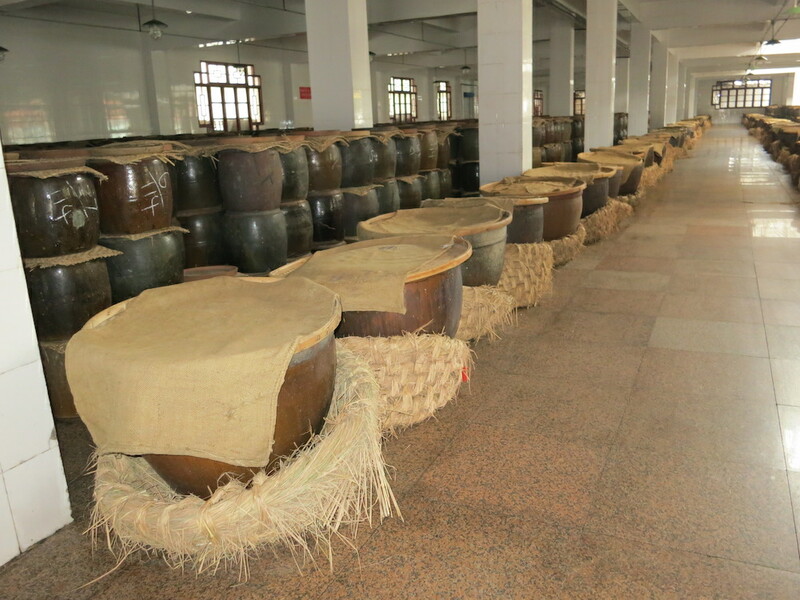 First stage of the baijiu production process. A hole is left in the center to facilitate aeration. Rice-aroma baijiu is essentially distilled mijiu 米酒, the clear Chinese rice wine popular in the country’s southeast. 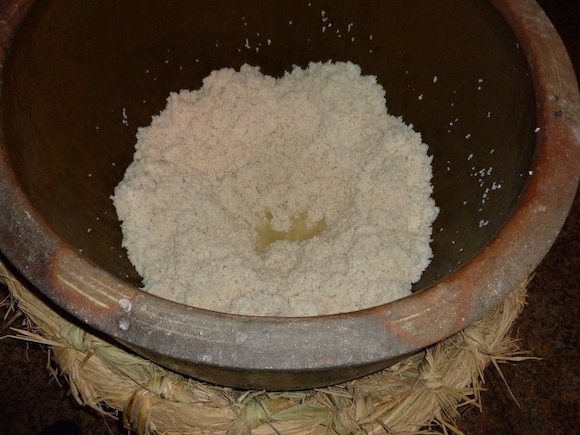 Steamed rice, water and rice-based qu (sometimes containing medicinal herbs) are mixed together and placed in a small jar for about a day to create a frothy fermenting broth. The contents are moved to a larger jar with more rice, water and qu and left to ferment for around a week. The result is a soupy, semi-solid alcoholic mash. 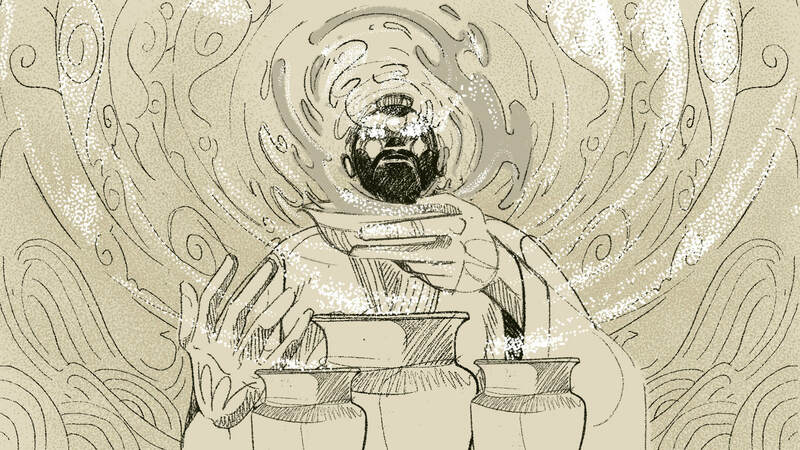 The mash may be distilled in a traditional Chinese pot still, or the liquid can be pressed from the rice and distilled in an alembic or column still. It is typically aged for at least one year. In Guangxi Province it is common to age rice baijiu in caves dug out of the limestone hills that dot the region. 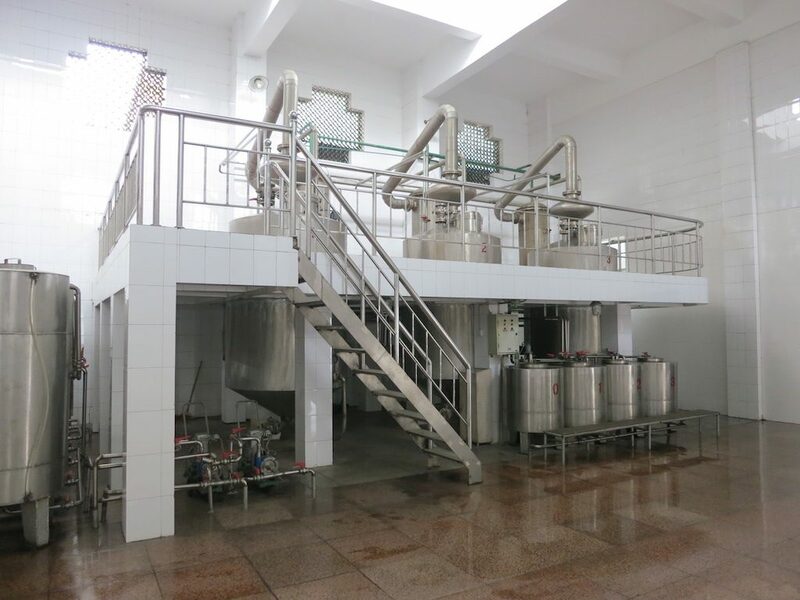 Rice-aroma distillers are the only to perform multiple liquid distillations. Southeastern China, particularly in the sister provinces of Guangdong and Guangxi. The most famous rice aroma sub-category is what’s called sanhua jiu, or three flower spirits, which originated in the picturesque city Guilin. 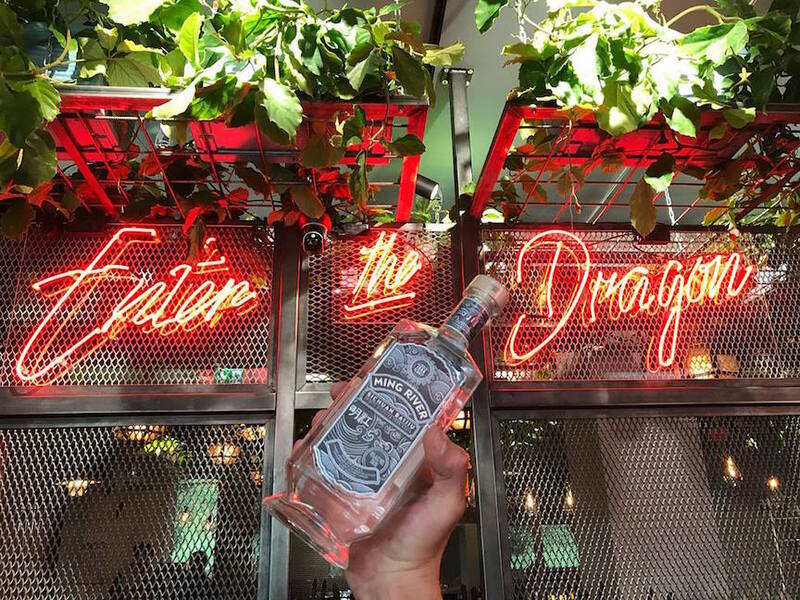 It is difficult to pinpoint the creation of the first rice baijiu, but given its obvious connection to millennia’s-old traditional rice wines one may reasonably deduce that it is one of the oldest spirits in China. Written records of Guilin’s sanhua spirits first appear during the Ming Dynasty (1368-1644). 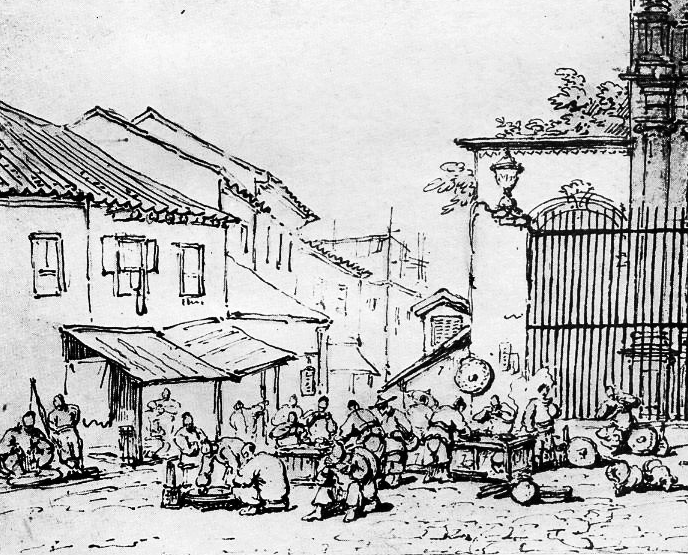 Accounts from the height of European colonial incursions into China during the eighteenth century indicate that rice baijiu was widely consumed in the port of Guangzhou (Canton), where it was popular with foreign sailors. The best rice-aroma baijiu is predominantly consumed by the people along the southeastern coast of China. 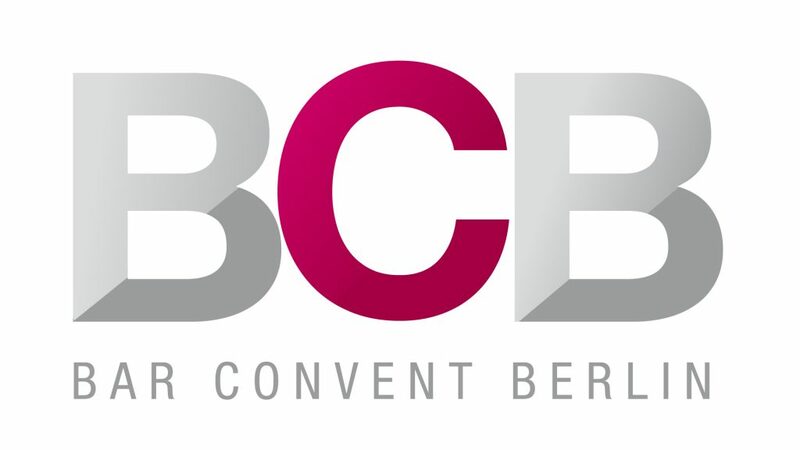 Even its leading brands are difficult to find in China outside of Guangxi, Guangdong and Fujian. That said mass-produced rice-based baijiu is sold in bulk at most supermarkets throughout the country. 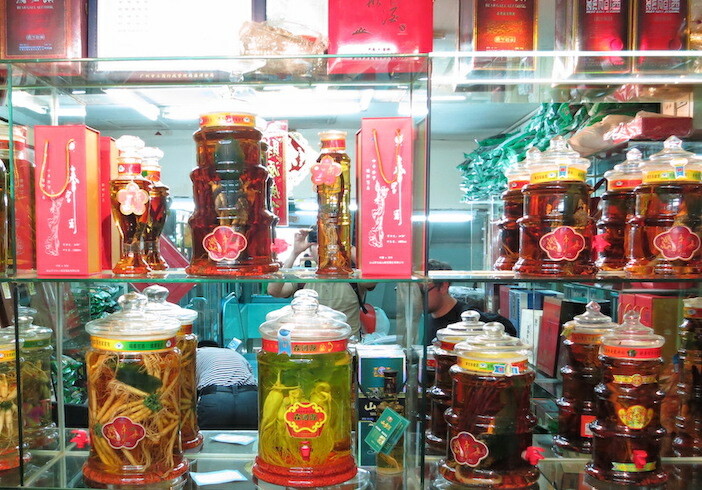 Because it is so mellow, it good at taking on the flavor of other ingredients, so the Chinese like to use it as a base for infused spirits and medicinal tonics. If there’s such a thing as a gateway baijiu this is it. It is mild on the nose and palate, easy to drink and even easier to mix. In a polarizing category of spirits, nobody dislikes this style. Nobody. That matters if you on the baijiu fence. You can use it like a vodka or dry gin substitute in a mixed drink, but it’s perfectly fine to sip or shoot. When pairing it with food, draw inspiration from southeastern Chinese cuisine: delicate and subtle flavors. Steamed dumplings, rice vinegar, fish and seafood are fine accompaniments to rice aroma.